Suicide Squad. 2016, 6.3 stars on IMDb. Written and directed by David Ayer and starring Will Smith, Jared Leto, Margot Robbie and Viola Davis, amongst many others. Regular readers of this blog may just about remember my movie A-Z back in… crikey. April of 2014. I could have *sworn* it was last year. I had enormous fun doing it and have been meaning to do more movie things for some time now. Slightly more time than originally intended. I blame the books. You may also have noticed that I quite like talking about books. Thought I’d branch out into movies. So, here we are in 2017 and I finally got round to watching David Ayer’s Suicide Squad. You know what? It was alright. Better than I was expecting, though a little light on story. Will Smith is hugely watchable in just about anything, as is Jared Leto. His Joker, whilst not up to Heath Ledger standards, was perfectly serviceable. Could have done with a bit (lot) more screen time, and a more developed character arc. Or indeed any kind of character arc. Most of the other characters get a bit lost in the mix, as is so often the case with these ensemble movies. Killer Croc turned up to do basically one job. Diablo was pretty good, but remarkably easy to talk out of his ‘not doing this any more’ thing. The Enchantress was probably the most interesting character, but again, woefully underused. It did feel a bit like getting all these cool bad guys together, do a Snake Plissken on them and set them loose against an even bigger bad guy. Viola Davis was utterly splendid and ruthless as Amanda Waller. Margot Robbie’s Harley Quinn was the other character with some semblance of development. Fun to watch, though her relationship with Joker was a bit weird. I’ll be the first to admit that I’m not particularly up on much of the Joker/Quinn from the comics, so I can’t say how well it fits with that. 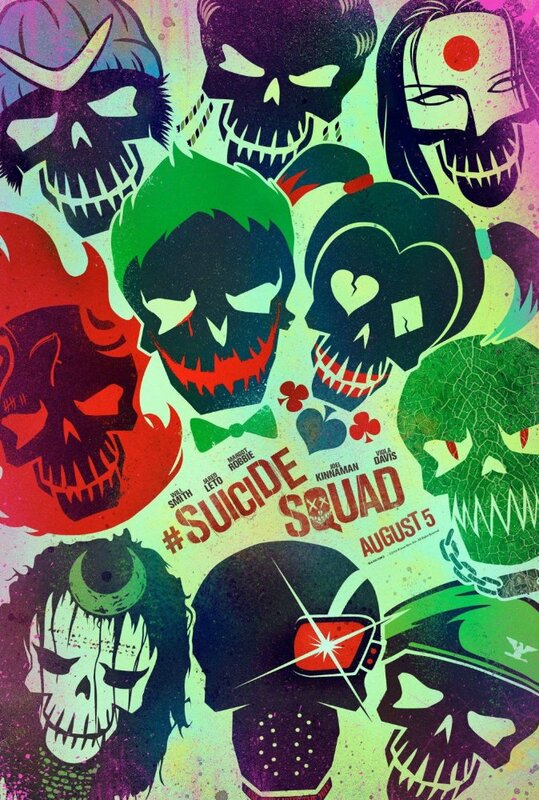 Could have done with being a movie with half the squad and Joker as the Big Bad. Never really felt the menace or the stakes. Overall, it was a fun popcorn movie. I give it six deranged evil villains out of ten.